With how busy our lives can be, not everyone has time in their schedule to go to the barbershop to get their hair cut or styled. To help manage your time, you can hire a mobile barber to come to you. A mobile barber is a male or female who performs the same tasks that a traditional barber does. A mobile barber can cut, groom, style, or shave men or boy’s hair. The difference with a mobile barber is that the barber comes to the you, whether it be the comfort of your own home, office, hotel, or anywhere else you need them to perform their services. A mobile barber brings all the equipment with them that is needed to perform your service and always cleans up any messes they may have made while cutting, styling, or grooming your hair before they leave. Imagine the time that is saved by having your barber come to you. You save the time it takes to travel to the barbershop and the time that can be wasted waiting for the barber to start on your hair through having the barber come to you. Mobile barbers can be helpful for more than just your traditional hair cut or style, as you can use a mobile barber for you or a friend’s upcoming wedding through booking the mobile barber to come to your location to cut and style the groom and other groomsmen’s hair before the wedding. A mobile barber can also give the groom and groomsmen a nice clean shave right before the wedding to make sure you are all looking great for the wedding pictures. A wedding can be a busy day so having a barber come to you to perform services for you or your friends on their big day is a great way to save time. Not everyone enjoys the noise that comes with a barbershop. Another benefit of a mobile barber is that having the barber come to you avoids the noise and helps you relax more while having your hair cut and styled in the comfort of your own home or hotel. Men that frequently travel for business but love to have a professional shave can have a difficult time finding a local barber that is available when they are out of town. With a mobile barber, you don’t have to worry about finding and going to a local barber in a strange town. You just need to book a time for a mobile barber to come to your hotel when you are available. This allows you to save time and money while still getting the professional shave you love while out of town. 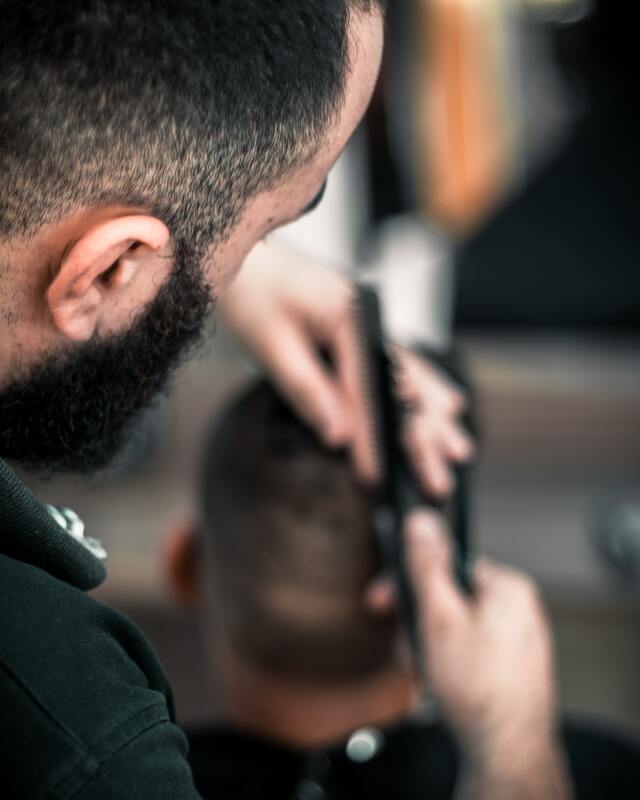 Having a mobile barber allows you to take advantage of the benefits that come with them over a traditional barber, as you can save time and have your hair done where you are most comfortable. Next time you are looking to get your hair cut or styled, check out a mobile barber to experience for yourself the awesome benefits one can bring to you!